As states continue to push for increased academic performance, many schools are extending class time and reducing (or even eliminating) recess. Sadly, this is even the case in many preschools and kindergartens. Unstructured free play has been replaced by regimented activities and long stretches of seat work. Is recess really even that important? I’m glad you asked! Here are 5 compelling reasons why recess is imperative. True recess provides children the opportunity to run, jump, and play. You know a child has really PLAYED at recess when they line up sweaty and out of breath to go back inside. So many children today sit in a desk for 6-8 hours at school, then sit and watch TV or play a tablet when they get home. After sitting for dinner, they go to bed for 8-10 hours. The majority of children get ZERO exercise on any given day, because children today simply don’t go outside and ride their bike or play tag like we used to do. P.E. once or twice a week gives them a little bit of exercise, but children need unstructured, outdoor recess time daily to get necessary exercise. I love to observe my students at recess and eavesdrop on their conversations. A few are debating the rules for their impromptu basketball game. Some are discussing whether it’s their time for the swing now and planning ahead for who might push them on the swing. Some are arguing and then making amends. The bottom line is they’re learning how to relate to their peers, how to compromise, and how to establish and follow rules. Recess allows students to interact in an informal setting with minimal teacher interference so children can learn how to get along with each other. Watch any group of children at recess, and you’ll quickly see creativity at work. At recess, children invent rules and games. They use found objects for story props, such as the tree on our playground where children hide from the imaginary monster who is chasing them. At recess, children arrange weeds and wildflowers into stunning bouquets for their teacher. Recess is a time when children can exercise their creativity. Recess gives children the opportunity to observe bees, butterflies, and ants. Children observe the changes in leaves, the shapes of the clouds, and the temperature of the air during recess. My own students have proudly brought me ladybugs they’ve found and observed them with great wonder. At recess, students begin to draw conclusions about the world around them and formulate questions they want to explore. Sunlight is good for the body. So many children spend hour after hour indoors–at school, playing video games, and watching TV. On a sunny day, students at recess are exposed to Vitamin D which is important for helping the body absorb calcium for strong bones and teeth. Vitamin D also helps with the production of feel-good brain chemicals like serotonin and beta-endorphins. Looking for more reasons why recess is imperative? You can download a FREE handy handout about the benefits of recess to share with parents here. Teachers, like students, should be actively learning at all times. One of my favorite ways to learn is through quality books written for teachers. You may be like me and have a wishlist a mile long on Amazon! 😉 I’ve looked through hundreds of titles and narrowed down 12 books every pre-k and kindergarten teacher should read. While some of these book titles specify Pre-K or Kindergarten, they’re all useful reads for teachers of 4 to 6 year olds. I’ve also included a book that’s geared for parents, but I think it would make a great read for teachers of little learners as well! At the heart of this groundbreaking book by Suzanne Bouffard are two urgent questions: What do our young children need in the earliest years of school, and how do we ensure that they all get it? Cutting-edge research has proven that early childhood education is crucial for all children to gain the academic and emotional skills they need to succeed later in life.With engrossing storytelling, journalist Suzanne Bouffard takes us inside some of the country’s best pre-K classrooms to reveal the sometimes surprising ingredients that make them work—and to understand why some programs are doing the opposite of what is best for children. I am reading this book first, because it will set the stage for everything else I read. This no-nonsense, jargon-free guide by Fran Simon will help you evaluate the tools and opportunities technology has to offer and integrate them into your early childhood classroom so you can offer real-life, hands-on, interactive activities to children. A reference every childhood program will want to have, Digital Decisions is brimming with charts, resources, and an array of activities that maximize technology as an interactive learning tool. Learning can happen during every minute of a child’s day when you plan and teach with intention. This how-to resource by Gaye Gronlund provides four planning and reflecting frameworks to help you bring engaging experiences into your classroom. It describes a methodical cycle that encompasses the many elements of a successful classroom—a process of planning, implementing, observing, reflecting, and individualizing curriculum—that helps build children’s academic and social skills. Instead of teaching math to preschoolers, you can be their guide as they experiment, think about problems, try solutions, gain understanding, and discuss their findings. Creative Investigations in Early Math gives teachers practical ideas for intentionally fostering young children’s hands-on explorations in the following areas: number and number sense, computation, geometry and spatial sense, measurement, data collection and statistics, patterns and relationships. With your guidance and this resource by Angela Eckhoff, preschoolers can figure out how the world of mathematics works and how math works in their world. Play, academics, and standards can work together with the right strategies and support from educators. Take an active role in child-directed play to guide learning. Become a strong advocate for saving play in early childhood education by empowering teachers to join play and standards, and learn how child-led, open-ended play addresses the seven domains and Common Core Standards. This book by Gaye Gronlund and Thomas Rendon is full of research and resources that link academic learning and play experiences. In their latest professional book, Gay Su Pinnell and Irene Fountas show you how to tap into young children’s excitement to introduce them to the world of literacy in joyful, engaging ways. As with their Continuum of Literacy Learning for grades K-8, they provide detailed descriptions of language and literacy behaviors and understandings for teachers to notice, teach, and support, while offering practical strategies for the prekindergarten classroom. Young children arrive at school with unrestrained curiosity and wonder about the world. 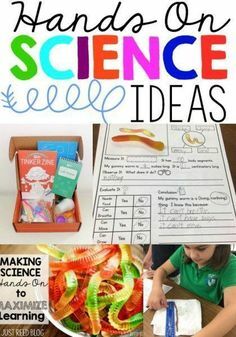 A fact-based, hands-on activity approach to teaching science, however, is not enough to help them deepen their scientific thinking or discoveries. In Starting with Science: Strategies for Introducing Young Children to Inquiry, Marcia Talhelm Edson explores the big ideas surrounding inquiry-based science; she helps teachers thoughtfully plan for and implement a conceptual approach to teaching and learning science so students can engage in observation, questioning, predictions, collaboration, data collection, and a deeper understanding of topics important to their lives. This book describes effective, engaging ways to build young children’s print concepts and alphabetic knowledge, which are crucial for both reading and writing development. Presenting shared reading, shared writing, and targeted instructional activities, each chapter features helpful classroom vignettes, a section debunking myths about preschool literacy, and Ideas for Discussion, Reflection, and Action. Strategies are provided for creating print-rich classroom and home environments and differentiating instruction for diverse students, including English language learners. The book also discusses how to assess preschoolers’ reading and writing progress. Reproducible checklists and parent handouts can be downloaded and printed in a convenient 8 1/2″ x 11″ size. Before children are readers and writers, they are speakers and listeners. This book provides creative, hands-on strategies for developing preschoolers’ speaking, listening, and oral comprehension skills, within a literacy-rich classroom environment. Each chapter features helpful classroom vignettes; a section called Preschool in Practice, with step-by-step lesson ideas; and Ideas for Discussion, Reflection, and Action. The book addresses the needs of English language learners and describes ways to support students’ literacy development at home. The final chapter pulls it all together through a portrait of an exemplary day of preschool teaching and learning. Reproducible forms and checklists can be downloaded and printed in a convenient 8 1/2″ x 11″ size. Responding to current debates on the place of play in schools, the authors have extensively revised their groundbreaking book. They explain how and why play is a critical part of children’s development, as well as the central role adults have to promote it. This classic textbook and popular practitioner resource offers systematic descriptions and analyses of the different roles a teacher adopts to support play, including those of stage manager, mediator, player, scribe, assessor, communicator, and planner. This new edition has been expanded to include significant developments in the broadening landscape of early learning and care, such as assessment, diversity and culture, intentional teaching, inquiry, and the construction of knowledge. Grounded in best practices and current research, this hands-on resource connects the dots that link brain activity, motor and sensory development, movement, and early learning. The expert authors unveil the Kinetic Scale: a visual map of the active learning needs of infants, toddlers, preschoolers, and primary graders that fits each child’s individual timetable. Teachers, parents, and caregivers will find a wealth of information, actionable tips, and games they can use to support children’s healthy development–all presented in a lively, full-color format with demonstrative diagrams and photos. A final section offers easy-to-implement activities geared to the Kinetic Scale. What books do YOU think are MUST READS for Pre-K or Kindergarten teachers? In the digital age, we can order food from the comfort of our home and have it delivered. Or log on to Amazon and order anything we want and receive it in two days. So doesn’t it just make sense for professional development to come to us right through our tablet or laptop…in the comfort of our own homes? I recently discovered ChildCare Education Institute, and I was absolutely amazed by the this online professional development opportunity for teachers! * CCEI is a Council for Professional Recognition CDA Gold Standard Comprehensive training provider. * CCEI is accredited by the Distance Education Accrediting Commission (DEAC). * CCEI is accredited as an Authorized Provider by the International Association for Continuing Education and Training (IACET). Over 12,000 early childhood professionals have graduated from CCEI with CDA’s and other certificate programs. More than 4.4 million course hours have been completed by thousands of CCEI alumni! And the best news of all? You can complete your CCEI coursework day or night! Convenience is one of the hallmarks of CCEI’s educational opportunities! I’m a voracious learner, so I’ve already started compiling a list of CCEI courses I’d like to complete. Here are 10 of the courses (out of over 200 options!) I’ve set a goal to complete over the next few months. Do you see what I mean when I say that you’ll be amazed by the variety of courses offered by CCEI? There’s something for everyone– preschool teachers, after school teachers, daycare directors, Head Start teachers, and more! Click the picture below to view the CCEI Course Catalog. Then, you’ll be able to choose the courses that interest you. CCEI is set up so that you can either buy an annual individual or center-based training subscription and take unlimited online professional development courses for the year or simply pay for the courses you are interested in. The courses are easy to log into and navigate. Each course includes a helpful handout you can print out prior to taking the course. This is perfect for taking notes to prepare for the short quiz at the end of the course. After successfully completing the quiz, you’ll earn a course completion certificate that you can submit to your center or administration. The course includes slides with photographs and text that you simply click through. At any point, you can take a break to cook dinner or bathe the kids and come back to pick up right where you left off! You can even scroll back through any previous slides in the course to refresh your memory. This is unlike traditional face-to-face PD in which you’re stuck for hours on end with all the information running together and no break in sight! I remember the last course I attended very vividly. I drove over an hour to get there. Then, I sat through 8 straight hours of training with only two bathroom breaks and a quick lunch break. The day felt like it would never end! I got home late and was absolutely exhausted when I walked through the door. Professional development through CCEI is like a dream come true. Not only can I break my courses up into manageable chunks of time, take a break, and come back to them. But I can do them from the comfort of my home! Plus, the convenience of not having to drive somewhere and not getting stuck in traffic on the way home makes the online format even more refreshing! I’m so pleased with CCEI, and I have no doubt that you’ll be pleased as well. Take a stroll around their website and see what you think. I’d be happy to answer any questions you might have. In the meantime, I’m headed to bed with my laptop and a cup of cocoa. (I’m not a coffee drinker 😉 ) I’ve got some learning to do! To read more about my Professional Development experience with CCEI, check out this post. Two important skills in preschool and kindergarten are counting with one to one correspondence and number identification. Both are skills that require a lot of practice to fully master. By incorporating fun and hands-on activities, your students will quickly succeed in these areas. In this post, I’ll share a couple of fun counting practice and number identification activities. Bubblegum is such a fun theme for little ones. And, I’ve found the perfect DOLLAR STORE manipulative that looks just like gumballs! You’ll need to purchase some hair elastics with the large colorful beads on each end. Then, cut the beads off the elastics. You now have GUMBALLS! Students will practice counting and identifying numbers with this fun manipulative. For even more engagement, let students chew bubble gum while they work! Of course, students will be at different levels when it comes to counting. For those who are struggling with one to one correspondence, I use counting mats that have circles on them so they can match one “gumball” to one circle. For students who are easily able to count, I use the plain counting mats that only have a numeral on them. Differentiation is key to student success. The activities are so similar that students won’t even realize their mat is a little bit different. You can further differentiate based on the numbers you choose for students to work on. Some students may only be able to focus on numbers 1-5, while other students may be ready for 11-20. Tens frames and twenty frames are another great way to help students visualize the numbers 1-20 and to give them counting practice. Success with these tools will go a long way in preparing children for future math success! Writing numbers is another important skill for preschoolers and kindergarteners. Proper numeral formation is also important. I love to laminate these number formation cards and provide a dry erase marker in a center. Each card shows the path of motion for each numeral so students are not only writing the numbers, but writing them correctly. Building this muscle memory is important! 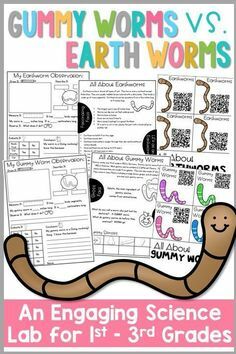 Also, the printable gumball page can be placed in a write and wipe pocket for repeated use, or students could complete it with a pencil or crayon for individual practice. Ready to implement these counting practice and number identification activities? You can purchase the complete Bubble Gum Counting packet HERE. Another fun activity for counting practice and number identification is called Cavity Count. 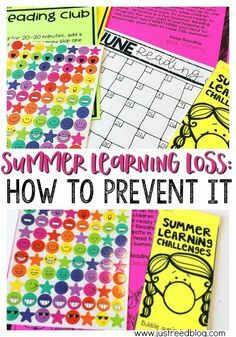 For this activity, you’ll use laminated mats, dry erase markers, and dice (or number cards). After rolling a die or choosing a number card, the student colors that many “cavities” using a dry erase marker. Then, the student uses a REAL toothbrush to clean the cavities. You won’t believe how popular this activity is! 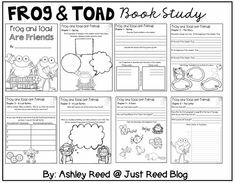 This activity is a FREE download in my Subscriber-Exclusive Resource Library! You can get access to this and several other fabulous resources by subscribing below. Click on the image below to get access the Cavity Count FREEBIE plus several other free resources! One of my earliest reading memories is of a thick book filled with Mother Goose’s classic nursery rhymes and sprinkled in with some fairy tales. Each night before bed I got to pick a few stories to read with my parents. Those bedtime stories were something I always looked forward to. Before long, I could “read” the nursery rhymes myself. Well, I thought I was actually reading. But really, I’d memorized the rhythm and words of these catchy little poems. As a teacher, I now realize the value of that book and those moments with my parents. I’ve poured over the research, and it’s all very conclusive. KIDS STILL NEED TO HEAR, READ, AND LEARN NURSERY RHYMES. In this digital age, it’s more critical than ever that our littlest learners be exposed daily to nursery rhymes. Whether that be through classroom activities in preschool and kindergarten or bedtime stories, one thing is clear. Generations have benefited from those classic rhyming tales, and its time the current generation revisits them. Literacy and child development experts have determined that children who know at least 8 nursery rhymes by heart by the time they are 4 years old are usually among the best readers and spellers in their class by the time they are in third grade. That fact alone makes me wish every newborn went home from the hospital with a big book of nursery rhymes! You want children to be able to memorize The Gettysburg Address and their multiplication facts down the road? Having students sing and recall nursery rhymes helps develop their long term memory and ability to recall information. Nursery rhymes provide a cognitive boost that’s crucial for future academic success. As children recite nursery rhymes, they practice articulating and manipulating the smallest parts of a word. They experiment with inflection, voice articulation, and enunciation. Nursery rhymes show children how playful and fun language can be. Many of the words used in nursery rhymes are not words children would encounter in their daily experiences. If it weren’t for Miss Muffet, how else would you learn what a tuffet is? Children also learn that frightened is another way of saying that the spider scared her away. Nursery rhymes promote a rich vocabulary, even for toddlers and preschoolers. Many nursery rhymes have a clear beginning, middle, and end to help children understand story structure and sequencing. As children hear a nursery rhyme, they’re often called on to think like an actual reader – making connections and inferring what might happen next. It’s easy to incorporate math, science, and even STEM into your nursery rhyme lessons. Exactly how much wool could you fit in 3 bags from Baa Baa Black Sheep? Give students cotton balls and have them count as they stuff the balls into small bags. After learning and reciting Humpty Dumpty, have students use STEM materials to build a safer wall . The possibilities are endless when it comes to integrating nursery rhymes into all subjects. Research demonstrates a correlation between rhyming mastery and reading preparedness. Quite simply, children who learn to rhyme proficiently early on will be better able to learn to read – and read well. Because listening and speaking are important precursors to reading and writing, nursery rhymes are critical. The very act of hearing and reciting nursery rhymes builds brain structures that promote the development of Higher Order Thinking Skills. Your preschooler or kindergartner is experiencing immense brain development during those precious years, so why not boost that cognitive growth through nursery rhymes? They’re silly and funny…and often nonsensical. But they’re just plain fun. My students giggle and do hand motions as we recite our nursery rhymes. They make special requests for which rhyme we’ll do next. And they never tire of these tried and true poems. Those are 9 research based reasons why children need nursery rhymes. Now, I want to give you a solid plan for implementing nursery rhymes into your preschool or kindergarten curriculum. Click the picture below to download this Nursery Rhyme weekly plan to guide your implementation of nursery rhymes into your preschool or kindergarten curriculum. If you love great children’s books like I do, you’ll definitely want to keep an eye out for these must read children’s books being released in 2019. These particular books are geared toward Pre-K through second graders and would make a great addition to your home or classroom library! You may click on each book title to see that book in Amazon. These are affiliate links so I earn a small commission if you purchase a book from the links provided. However, you will still pay the original retail price! In “Maya’s Magical Laundry Basket”, Maya does not let a rainy day at home limit her adventures. She takes an ordinary laundry basket and dreams up a series of exciting, globe-spanning adventures, teaching others how to use their imaginations, re-kindle and spark inner creativity and experience wonder and adventure every day. From the #1 New York Times-bestselling author and illustrator behind The Wonky Donkeycomes Willbee the Bumblebee, a catchy rhyme with endearing illustrations that will leave you buzzing! Willbee the bumblebee is so embarrassed when he realizes that his black-and-yellow jacket has caught on a rose thorn and completely unraveled, showing his bare bum! With help from Monica the butterfly and Steve the spider, Willbee recovers his jacket and is back to buzzing around the garden in no time. There was an old lady who swallowed a cake. I don’t know why she swallowed the cake. It was a mistake! Scholastic’s Old Lady is more popular than ever, and in celebration she’s swallowing a cake… and a candle, and a sign, and some balloons, and a hat, and some gifts. Can you guess why? It’s spring and everywhere birds are calling out to each other. But one bird has forgotten which sound to make. He tries “Woof,” and meets a dog, who encourages him to try “Oink,” with the expected result. Moo, Hee-Haw, Baa, Meow–each successive call adds another animal friend to the page. Will the young bird find another bird friend? As young readers are introduced to each type of animal and their sounds, Hendrik Jonas’s clever illustrations grow increasingly crowded. The result is a beautiful celebration of friendship that will delight young children everywhere. One little girl has a very special friend, the tall ancient tree in her backyard. Through the seasons, she grows along with the tree, playing in its branches and basking in its shade. She can swing and have a picnic, draw the tree and play hide and go seek. Through her time with her tree, the girl learns to appreciate the natural world as something to be savored and protected and acknowledges her place within it. For Mr. Pockles, going without a hat is as unthinkable as going around without any pants on. He has millions of hats, for every occasion–an Eating His Cornflakes hat, a Drinking Cups of Tea hat, and even an In the Bath hat–but for some reason, he doesn’t have any friends. One day, when Lady CoCo Fitz-Tulip–a Very Important Panda–finds that her hat has been gobbled up by some hungry bunnies, Mr. Pockles knows just how to help. Overflowing with silliness, here’s a charming celebration of friendship, inclusion, and the joy of sharing. In the wide-awake bed in the full-moon house, everyone is restless! The moonlight is pouring in and no one can get to sleep: not Granny, her grandchild, the dog, the cat, or even a mouse. It’s not until a tiny musical visitor offers up a soothing song does the menagerie settle down, and finally everyone is off to dreamland. With a patterned text and stunning paintings, Audrey and Don Wood reveal once again why they are picture book creators of the highest order. The Full Moon at the Napping House, the dreamy companion to their classic The Napping House, is now in a cozy padded board book edition—perfect for sharing at bedtime or anytime. Penguins are always polite. They say “please” and “thank you,” they wait their turn patiently, and they always help to clean up when playtime is over. But one day, Polly Penguin decides that being polite is boring. So she interrupts when others are talking, refuses to clean up, and makes a mess at the dinner table. Soon, all of the penguins copy Polly and lose their good manners, too! Can Polly help make things right again? A dab of blue here, a splash of red there, a goopy smear of green . . . everywhere. To the tune of “It Ain’t Gonna Rain No More,” one creative kid floods his world with color, painting first the walls, then the ceiling, then HIMSELF! Before this feisty artist is through, he’ll have painted his head, back, hands, legs, feet, and . . . Oh no–here comes Mama! How many things can you make in a day? A tower, a friend, a change? Rhyme, repetition, and a few seemingly straightforward questions engage young readers. This simple, layered story celebrates creativity through beautiful rhyming verse and vibrant illustrations with a timely message. Which of these Must Read Children’s Books are you planning to order? Are there any other new releases you have your eye on? I’d love to hear your suggestions! I’ll confess that the 100th Day of School is actually one of my favorite days of the year! At this point in the year, we’ve hit the “sweet spot.” Classroom routines are running smoothly, and students are aware of all the procedures and rules. Most schools have fun celebrations and 100th Day themed events to commemorate this special day. 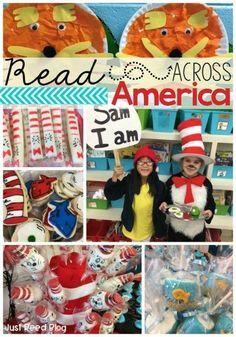 There are great opportunities for learning on the 100th day of school, and don’t even get me started on all the fabulous snacks, games, and activities you can incorporate! But did you realize there are some truly amazing books for the 100th day of school? Many of these books are old favorites that we’ve been reading for 100 years <— Get it? 100 years?? 😉 But you may not be aware of some newer books for the 100th day of school. You may click the title of any book to check it out on Amazon. These are affiliate links so I will earn a small commission if you purchase through these links, but the books will not be any more expensive using this link. The 100th day of school is coming up, and Nancy doesn’t know what to bring in for the class project. Will she be able to think of something imaginative in time for the big day? Miss Bindergarten, the world’s best kindergarten teacher, is getting ready for another milestone. Tomorrow she and her class will have been together for 100 days. 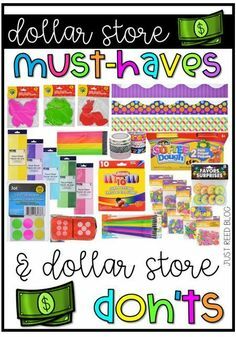 To celebrate, each student must bring “100 of some wonderful, one-hundred-full thing!” At night, while the students go to work assembling their projects, Miss Bindergarten is working, too, making special surprises for the class. The 100th day of kindergarten is bound to be unforgettable! Children will delight in hearing about this special event, a common cause for celebration in kindergartens today. When Jessica’s teacher tells everyone in class to find 100 things to bring to school for their 100th day, Jessica starts to worry. She wants to bring something really good. but what? 100 yo-yos? Nah, that’s silly. When Jessica reaches the 99th day, she really starts to worry. She still doesn’t know what to bring! Could the best collection of 100 things be right under her eyes? The children learn 100 spelling words, plant 100 seeds, bake 100 cookies, and “”do everything the 100 way”” to celebrate this special day. After 100 days of school, it’s time to celebrate! How will Biscuit help with the fun? Unfold the flaps to find out! Mrs. Madoff’s class is counting pennies — one for every day of school. When they get to 10 pennies, they know they’ve been going to school for 10 days. What will happen when they get to 100? How will they celebrate Day 100, and what will they do with their 100 pennies? Emily is ready for her first day of school. There’s so much to do: learning the alphabet, singing, reading books, dancing, and counting, starting with the very first day. One hundred days feels very far away, but day by day, Emily and her classmates see they’re getting closer. And as the lessons they learn begin to add up, their world expands. Chock-full of surprising discoveries, age-appropriate activities, and plenty of humor, Emily’s First 100 Days of School supports growing skills in reading, writing, and arithmetic, with an emphasis on math skills. With hundreds of colorful animals to count and hundreds of hilarious details to hunt, this unconventional counting book guarantees hundreds of hours of fun! Star Log: Day 100. Base camp is lively. I greet my crewmates and admire their work. We have mastered many skills on our journey, but today brings a new milestone. There have been: 100 roll calls. 100 songs. Plus 100 pledges. And, 100 challenging days full of exploration and triumph! Little ones will be over the moon as they celebrate school’s 100th Day with this clever, dynamically illustrated book, and eager to suit up for another daring adventure exploring and conquering Planet Kindergarten. and just plain have fun. And you’ll have fun, too! Sing along to celebrate 100 days of Learning. Comes with a CD and online music access. In this early reader, animals bring 100 things to celebrate the 100th day of school…then someone spills 100 marbles, and it’s a DISASTER! 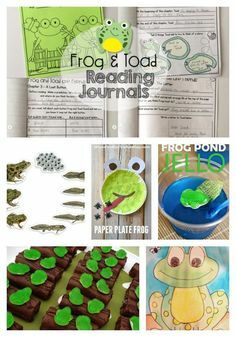 Looking for some activities to add to these read alouds? 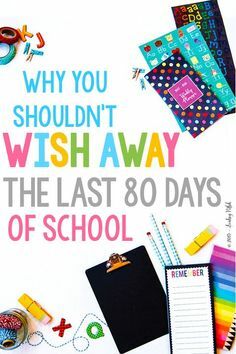 Check out my 100th Day of School packet that’s chock full of centers and rotations to make the 100th day one your students will never forget. They’ll have so much fun they won’t even realize they’re practicing important math, literacy, and science skills! Check it out HERE! Prefer to celebrate the 101st Day instead? Read how my class celebrated it Dalmatian-style here. Let me know how you decide to celebrate the 100th Day of School. I’d love to hear any read alouds you recommend in addition to these 15 Fabulous Books for the 100th Day of School! I’ve partnered with ChildCare Education Institute, the industry leader in online professional development, to bring you information about their professional development opportunities for preschool teachers, daycare teachers, after school programs, and more! Their programs are also great for Pre-K principals and daycare administrators or owners to meet certification and continuing education requirements. I just completed my first course, CCEI122: Active Learning in Early Childhood Education, and I was honestly impressed by the content and the format of the course. It was convenient and easy to complete, and I truly learned a great deal! This entire experience with ChildCare Education Institute exceeded my expectations. It was easy to sign up and register for courses. Navigating the course was easy, and the information presented was so relevant to my career. I can’t recommend CCEI enough for your professional development credits. And to think, you can complete your lessons at home in your pajamas! Plus, when you see the number and variety of courses they offer, I think you’ll be AMAZED! Keep reading to learn more about my personal experience with ChildCare Education Institute! In ECE, movement is essential to the neural stimulation necessary for healthy brain development. Sitting for more than 10 minutes at a time reduces concentration and increases fatigue! TEACHERS, DID YOU READ THAT?? Take note! Cross-lateral movements heighten cognitive function. Yes, Brain Gym is still a GREAT thing! The content was easy to navigate through, and the information was concise yet informative. There were even photos and case studies to drive home important points. At the end of the course, I took a short online assessment which I felt completely prepared for because of how informative the entire course had been. The course handouts I printed and took notes on were a big help with the assessment as well! Finally, upon successfully completing the course and assessment, I received a certificate of completion to turn in to my administrator. #Easiest PD EVER! ….and more! There are really too many courses to list (hundreds!) and they range from birth through school age. Something for EVERYONE! ChildCare Education Institute® provides high-quality, online training courses and programs, applicable to those who work in an array of child care settings, including center-based care, Head Start, family child care, prekindergarten classrooms, after school environments and more. Over 150 English and Spanish training courses are available to meet licensing, recognition program, and Head Start Requirements. CCEI also has online certification programs that provide the coursework requirement for national credentials including the CDA, Director and Early Childhood Credentials. CCEI, a Council for Professional Recognition CDA Gold Standard™ training provider, is nationally accredited by the Distance Education Accrediting Commission (DEAC) and is accredited as an Authorized Provider by the International Association for Continuing Education and Training (IACET). What are you waiting for? Go check out CCEI today and get started becoming an expert in your field! I’m so blessed to work with some talented and crafty ladies in Pre-K, and boy this group has been turning out some fabulous Christmas Crafts for the classroom! I wanted to share some ideas and inspiration from our team in the hopes that they may inspire you to have your own little Crafty Classroom Christmas! I’ll also provide links to the materials you’ll need for each craft, though many of them are probably already in your supply cabinets! Because, let’s face it, we’re teachers and we save EVERYTHING! Which of these Christmas Crafts is your favorite? I don’t think I can pick just one! Be sure to pin this post on your Christmas or December board for next year!